Lucas Mitchell sits down with Michael Seyer after his show at the Sinclair to chat about poetry, touring, and breakfast in bed. 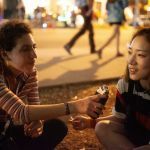 Dig up your sweet tooth for SXSW2019's tastiest treats! Ma WHRB features Days 6 & 6 in her final course of SXSW 2019. 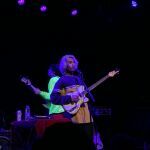 James Gui, Luke Martinez, and Lana Harris sat down with Drinking Boys and Girls Choir after their set at Valhalla during the Damnably Showcase to chat about Irish Car Bombs, our shared love for Jambinai, and gender politics in Korea. Heat up your saucepan and slap on your bolognese for WHRB's Midweek SXSW Review! 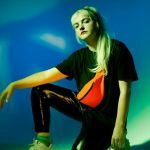 WHRB's Luke Martinez and Lana Harris sit down with Margate-based producer, vocalist, and cute-pop extraordinaire Babii. 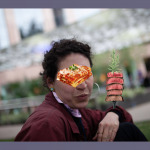 Ma WHRB brings you the juiciest game of SXSW 2019 Day 4. 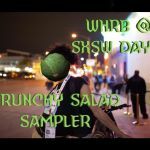 Ma WHRB's punky crisps swoop into Day 2's SXSW 2019.